Hello there and Happy Bank Holiday Monday, I hope you are enjoying a relaxed and happy Bank holiday weekend, I worked and held a class on Saturday ( thank you ladies for coming I loved seeing you all), then yesterday I did a bit of shopping in the morning after which we enjoyed a chilled out Sunday entertaining good friends, Jane who just so happens to be one of my best customers came round for a Sunday roast with her lovely family including the cutest Rhodesian Ridge back pup on this planet, the adorable Zuri ( you can imagine Nico's happiness can't you?) we had such a good time, but I do hope they are alive and I haven't poisoned them. Today I am busy working my little socks off, there is lots to do this is a busy time if you are a demo as we are expecting our retiring list in less than 48 hours plus we get to peek AT THE NEW CATALOGUE !! To say I am excited is an understatement, I cannot wait but firstly I do want to see exactly what's going and make sure I order it before it disappears. 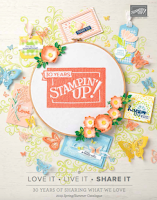 Now don't also forget that you only have until tomorrow night to take advantage of this month's special offer, 20% of certain two step stamping sets, find out more HERE . 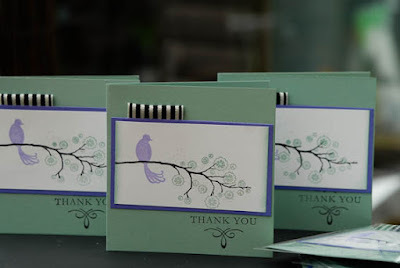 One of my favourites sets from this selection is the gorgeous Bird on A branch, here are the thank you cards I sent my customers last month. Sage Shadow, Lovely Lilac and Basic Black. What you cannot see from the picture is that those dots amongst the bare branch were stamped using a mixture of ink and frost white shimmer paint, fabulous shimmering results shame they are so hard to capture in a photo. 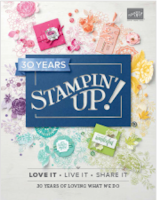 Can't wait to see the new catalogue too. 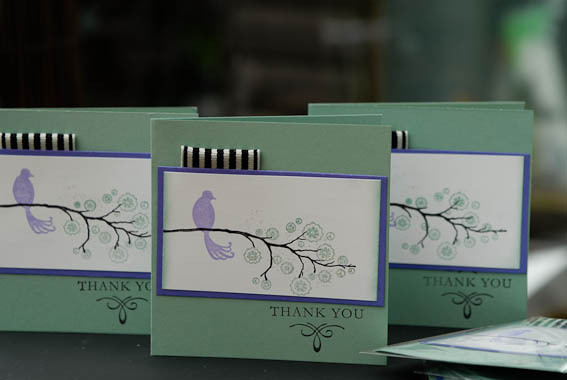 Fingers crossed that new scalloped edge punch is in it! !